Easter is Christianity’s most important holiday. In Slovenia it has many colourful traditions and customs dating centuries into the past. The biggest Christian feast brought about the end of a long fast, which started on Ash Wednesday, and at Easter the table of the average inhabitant of this country was laden as on no other occasion. 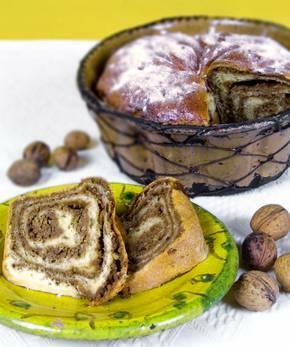 The essential ham, bread, horseradish and a special Slovenian cake, potica, are at this time of the year accompanied by colourful decorated eggs, in Slovenia called pirhi, pisanice, pisanke, remenice or remenke. Potica is a typical Slovenian dish, which used to be baked in special baking dishes which complement the local folk’s genuine creativity. There are at least fifty different recipes for this dish, which differ according to the filling. It could have a filling made of walnuts, hazelnuts, honey, peppermint, cottage cheese, sour cream, cracklings, bacon or dried fruit. A typical dough is made of wheat flour, which is rolled out flat, over which the filling is then spread; and finally, the wrapped potica is placed in a cake pan. 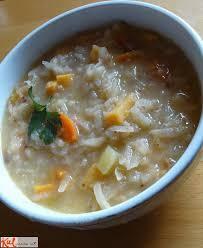 Photo 1: The Slovenian "Potica". On Palm Sunday at the beginning of Holy Week, bunches of spring greenery are blessed. 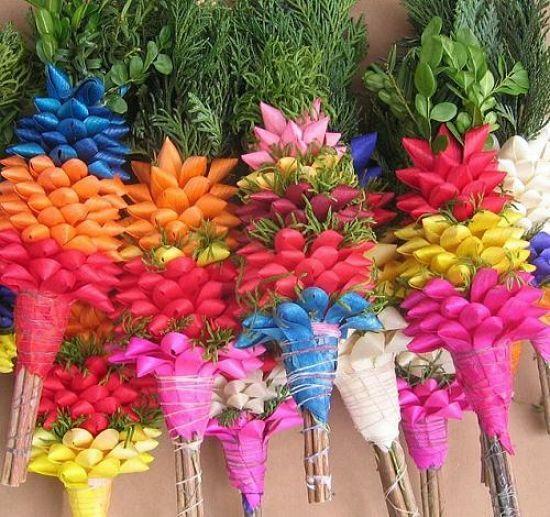 The Christian custom of plaiting bundles dates to the 9th century, and probably derives from a custom known throughout pagan medieval Europe. These bundles, of different shapes and sizes, are known by different names in different parts of Slovenia. The most special of all bundles is the ‘Ljubljana Bundle’. They are renowned abroad for being the only bundles of their kind. The easiest way to acquire them is to go to Ljubljana’s flower market, near the Cathedral. Good Friday remains a strict day of fasting. In some areas the fast continues on Saturday. Until recently a special ‘fast dish’ was eaten on Holy Saturday which was intended to remind people of the times of severe hunger which plagued Carniola in 1529. This dish is called Aleluja and was made from turnip peelings. On Holy Saturday in most Slovenian towns and villages people bless their Easter meals. Blessed and coloured eggs are a long-lasting tradition of the Slovenes. The words pirh and remenica (used in the Prekmurje region) derive from words meaning “red”. Slovenian coloured eggs, also called pisanice or pisanke (in the Bela Krajina region) are among the most beautiful in Europe. Pisanice and remenice are typical of the Slovenian eastern parts in their characteristic geometrical and stylised forms. 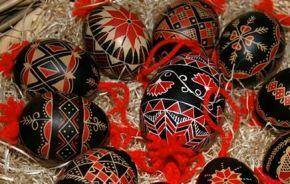 On the other hand, Easter eggs in the Primorska and Gorenjska region feature mostly nature motifs, usually flowers and plants. In the painting of pisanice special wooden instruments are used. A distinctive feature of Bela Krajina, and one of the most popular souvenirs of Slovenia throughout the year, is the pisanica, a coloured Easter egg decorated in a characteristic manner. The people there have developed a special technique for decorating eggs using wax. These eggs are of a special kind that is found nowhere else in Slovenia. Photo 4: The Slovenian "Pirhi". While Easter Sunday is a day for solemn contemplation and time for staying at home, Easter Monday is a day of relaxation. On this day it is customary to go visiting, hiking, or celebrating. Put flour in a bowl, sifted if you like, add salt. In a cup dissolve the yeast in water or milk and in another cup mix the eggs, sugar, rum, vanilla essence, lemon or orange peel. Healt milk, melt fat. Add hot milk to the flour, stir and add the mixture of eggs, sugar, rum and aromas. Stir again, add dissolved yeast and fat and stir into a medium thick dough. Knead until it is elastic inside and smooth on the outside. Make sure the dough does not stick to the bowl and that it is not too hard. Cover the dough with a PVC sheet and leave to rise. Dough should always rise at room temperature. With rising the quantity of the dough should double. Knead it once and roll it out and spread it with the filling. Melt honey in tepid milk, and then add one half of walnuts, sugar, eggs, aromas, spices and rum. Spread the filling on the rolled-out dough and sprinkle with the other half of walnuts. The temperature of the filling should be equal to that of the dough. Roll tightly, put in a mould, prick and leave to rise. Before baking, coat with a thin layer of milk and egg mixture – make sure the holes are not stopped. Bake 50 minutes at 190°C.